Regardless of whether you are playing slot games online or at a land-based venue, all slot machines are made up of a series of reels. 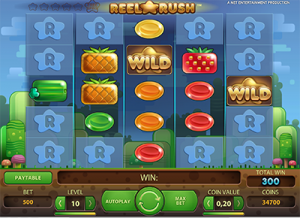 While the slots have transformed from iron cast machines to computerised online slots, reels are integral to the entire functionality of the game. We take a look at what slot reels are, how they have developed, and how they vary between slots, while explaining the different reeled slot games you can play at online casinos. There is some dispute around who exactly created the first slot machine, with suggestions it was San Francisco car mechanic Charles Fey, as well as a pair of Brooklyn manufactures Sittman and Pitt. Regardless, Fey’s version called the Liberty Bell took off, and the mechanical slot machine worked with three metal hoops that were inside an iron cast that had symbols painted onto them. These were named the reels. These reels were attached to a lever and they would spin when the lever was pulled. When the reels stopped with the same three symbols, players would win. There were initially only 3 reels which gave a possible 1000 combinations, but over time the number of reels increased and that meant the number of possible combinations grew too. These were physical reels and while they have transformed quite significantly, they have still kept their name. 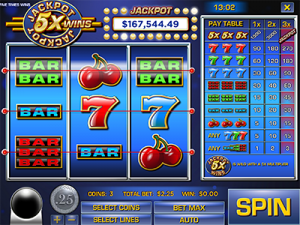 With the advancement of land based slot machines to the computerised versions, the reels have also developed and gone from being pulled by a lever to virtually spinning on our screens with the click of a mouse. Regardless of technological advancements, the general gist remains the same, with slot reels filled with different symbols and icons which can be matched to form winning combinations. It is the reels that are responsible for triggering wins on the slots, with prizes awarded depending where certain symbols appear across the reels. Virtual reels were created thanks to random number generators (RNGs), which was first introduced in 1984 by IGT. These reels have tens of thousands of possible combinations and even have the ability to be stopped by the player mid spin. The reels on a slot machine determine the number of possible combinations available for players to land when playing a slot game. They also allow for a certain number of paylines (with more reels meaning the more paylines there are available), as well as providing the ability to scrap paylines completely and offer a certain number of ways to win. Ultimately, it is the reels that form the very basis of a slot machine, as it is the reels that contain the symbols that embody the theme of a game and its winning potential. Three reel slots – As mentioned above, these are the most common, traditional slots as slot machines were first invented with just three reels. Reels are numbered 1, 2, and 3, and generally have a limited number of paylines. Also known as “classic slots”, three-reel slot games typically require you to line up three matching symbols across a single payline in order to win money based on the corresponding payable. Three-reel online slots use basic graphics and a no-frills format and are known to trigger lower paying wins more frequently. Five reel slots – Five-reel games were developed as slot machines advanced, creating the ability to feature more paylines within a single game. Five reel slots have become the most popular type of slot games we see online today (often referred to as “video slots”) and are capable of offering all kinds of bonus features and animation. The reels are numbered 1, 2, 3, 4, and 5 and can provide an array of paylines or scrap paylines completely in favour of offering a certain number of ways to win. Online slots can offer as high as 243, 1024 and even 3125 Ways to Win. 7, 9 and 12 reel slots – Slot games offering more than five reels are quite rare but they do exist, with additional reels added with even more possible winning combinations. Given the variety of slots available online, you’ll be much better off searching for these multi-reel games on the Internet rather than scouring through a land based casino. General consensus is that slots with more than five reels are simply offered as a gimmick, with some players enticed by the novelty of something new, but they really don’t offer any benefits beyond the novelty. See for yourself the difference between three and five reel slots by sampling games for free in practice mode at one of our recommended instant-play casinos. Refer to our casino table above for the full list of top-rated casino sites catering to players from your country.